Mantra: You're someone special. Someone strong. Someone loved. 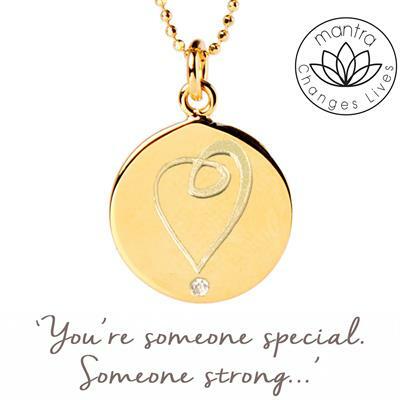 This necklace by Mantra raises money for, and awareness of, Breast Cancer Haven. Breast Cancer Haven is a superb charity that helps women through their breast cancer treatment, providing emotional and practical support. The necklace is a testament to how loved and special each individual person is. The necklace carries the charity's Heart logo with a pink Crystal embellishment, alongside the lotus symbol, which represents regeneration and rising through difficulty. 25% of each sale of this necklace goes to Breast Cancer Haven to help fund their valuable work.